Suggest you get some 3M Heli tape fitted to stop the seals rubbing through again. Scotm, I've been using Post-it notes since the repair . Have you got your seat replaced ok? Being a sewage diver at least I know how deep the 💩 will be at work today. Virtually identical issues with our 110 Adventure. Also submitted claim for corrosion to roof rack and aluminium under body protection. Have you got your seat replaced ok? Hi there Sulisuli, not yet. 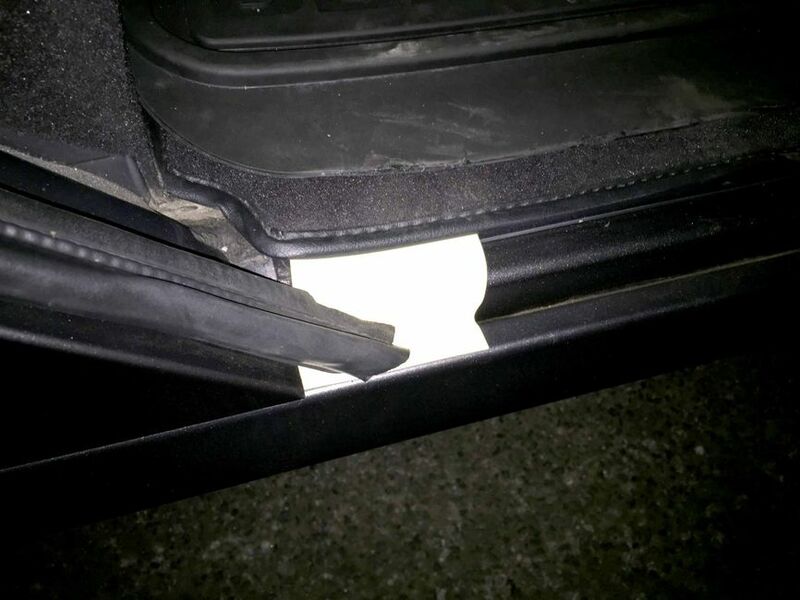 They took the vehicle back and replaced both rear door seals as the old seals had rust particles in them (from before the repair) and were causing friction to the repaired areas. I will use the 3M Heli tape as recommended by Scotm when she is returned. 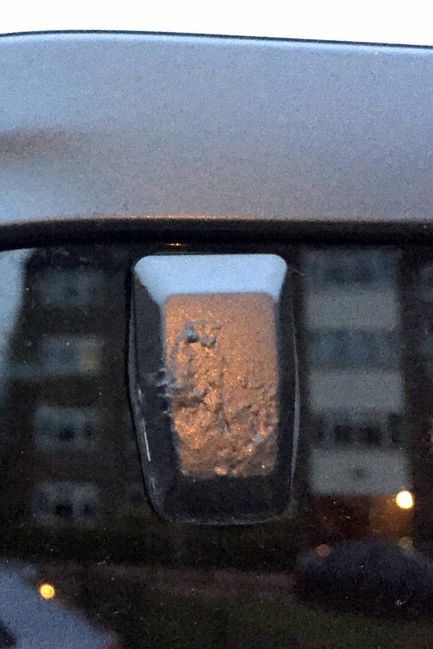 With regards to the seat, they spent a few days trying to assign liability to the 3rd party body repair shop (does not concern me as the end customer but wasted my time) and then once they got over that hurdle realised LR kept sending them the wrong part. I'm guessing this is because someone in parts from the dealers end is describing the visual attributes of the rear seat instead of quoting a specific part #, but of-course I cannot be certain. A similar situation regarding the rear step. The dealer said they had to reject 9 steps that were sent to them as they were all damaged before finally getting a decent specimen from LR parts. Would be grateful if anybody here could direct me to the specific Part # for the near-side 3rd row forward facing seat please. The version needs to be pimento red Adventure edition. Quoted £840 for 12 month extended warranty, wondered if this was a fixed JLR price or dealer discretion price? Presumably there are non JLR options that are cheaper, but would they pay for dealer repair? Then again, a good independent would likely be a safer bet. Won't be long before defenders are never seen at official dealers. Zagato did the dinitrol treatment for her twice over the past 3 years, so I'm guessing the structure holding the aluminium under body protection is good at my end or he would have mentioned it. I believe the extended warranty is a JLR fixed price. I paid slightly more as I added the Land Rover Assistance option. I went to the dealer last week as mine is coming up to 5 years. They said the bodywork is 6 years and I should not worry about the issues I have, but wait another 9 months until they get worse. That’s the standard bodywork warranty. They said the extended one is mechanical only.!! I will ask this week as I’m due to renew mine at the end of the month Being a sewage diver at least I know how deep the 💩 will be at work today. I was told by someone who works at the dealership that everyone really dislikes warranty work because of all the paperwork and the to and fro with LR. LR sent over 10 rear steps and the dealer kept rejecting them due to damages until they finally found a piece that was acceptable. My advice would be to start getting items identified and resolved well before the bodywork warranty runs out. That way you have time to sort things out if a replacement part has issues as well. Good people leave and if you have a good contact at the dealership, best to leverage that. I finally got the my seat replaced and it was 1 month and 1 week after the damage took place, and 2 weeks after they thought they had the correct part# ordered. All this would have been completely unacceptable if I didn't love my 110 so much. 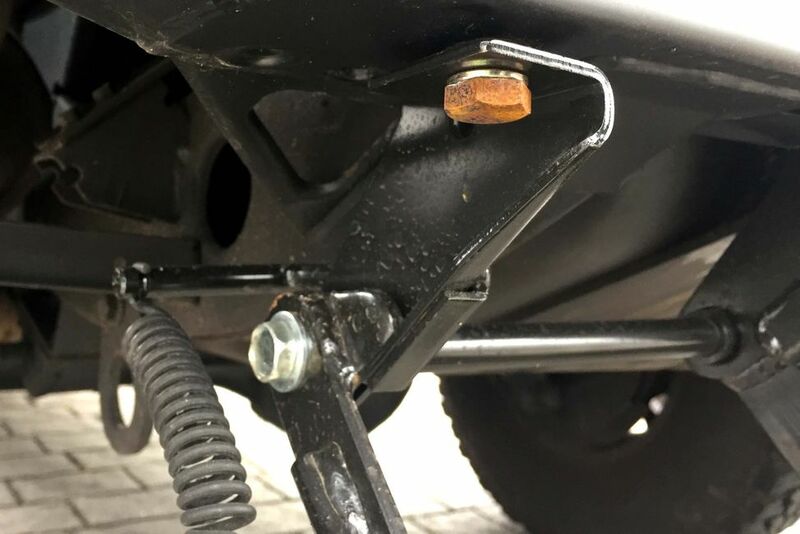 Rust is already appearing on the replaced rear step joint and screws. Does anyone know what the part# is for the outer part of the latch for the 110 window? Glad you got your seat sorted finally Being a sewage diver at least I know how deep the 💩 will be at work today. 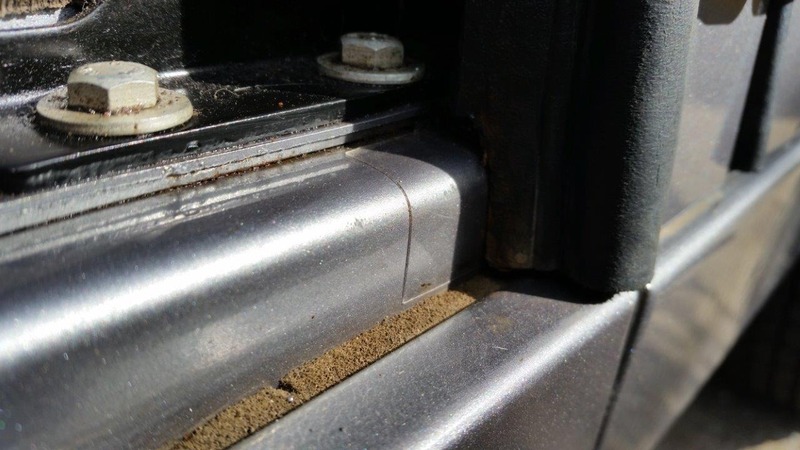 Our sliding window blocks were corroded too and were highlighted at the pre 36 month inspection recently; usually these are replaced without fuss. The issue with the underbody protection is tarnishing/corrosion of the aluminium finish. I gave the steel structure a good coating of dinitrol when new and it's fine. I'll need to chase up the dealer on the warranty works, that's about a month since the inspection. The only mechanical issues were weaping swivel joints and the seals were replaced during the service. Some muppet probably left the upper half of the seat on the workshop floor and scuffed it. Its either incompetence or they are having a laugh at my expense. I also have proper vehicle OCD, but after 11 Defenders it just became anger. The tolerances on the vehicle itself and the shoddy work from the dealer for warranty jobs just left me cold. For some it will drive them away, for others they mellow into “it’s just character” and watch as their investment slowly bubbles, flakes, corrodes and finally gets stolen.